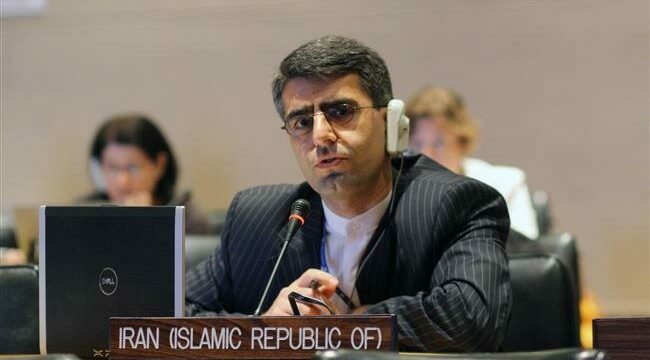 MNA – The permanent representative of Iran to the United Nations Office in Geneva slammed renewal of UN human rights rapporteur mandate on the Islamic republic, saying that this move is politically motivated. “The appointment of a special rapporteur on Iran is an unjust and unwarranted scheme initiated by certain states in pursuit of their politically-biased attitude against our nation,” said Esmaeil Baghaei Hamaneh. His remarks came after the United Nations Human Rights Council decided on Friday to extend the mandate of the special rapporteur for a further period of one year in a Sweden-drafted resolution on the situation of human rights in Iran. The resolution was adopted by a vote of 22 in favor, seven against and 18 abstentions. “It is no accident that those who have a long record of violating human rights and humanitarian law, including by wreaking havoc across our region by flooding it with weapons and by actively supporting terrorism and violent extremism, are among the main backers of this scheme,” he added. The envoy highlighted that Iran will continue its constant efforts to protect and promote human rights in the country and also its cooperation with Office of the UN High Commissioner for Human Rights and other competent UN human rights mechanisms.